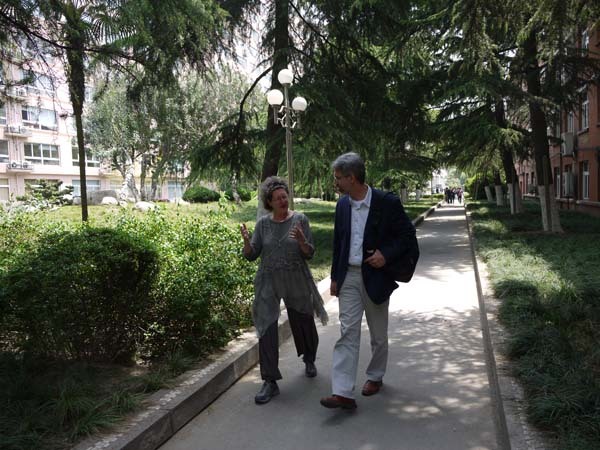 Intercultural Communication MOOC, offered by Shanghai International Studies University, China. Interested in learning about or engaging your colleagues and students in topics related to cultivating intercultural awareness? Then join us in a step-by-step social learning journey in the SISU-FutureLearn Intercultural Communication Course. This 5-week course has attracted over 41,000 learners since it first launched in November of 2015 (the 6th run opened April 16, 2018). The course highlights different ways we might (1) understand intercultural contexts and introduce ourselves, (2) construct our identities, (3) express communication styles preferences or (3) diverse value orientations, and (5) find ways to cope or adapt. Click on the link to enroll and engage with us now to learn and interact with this global learning community. 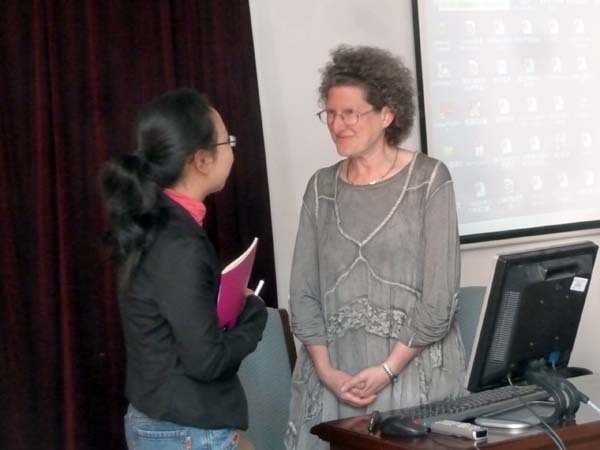 Yan Sun gained her Ph.D. in English Literature at Shanghai International Studies University. She is a Judicial Master at the Law School of Fudan University. In 2007-2008 she was Fulbright visiting scholar at Mississippi Valley State University, and in 2014-2015 visiting scholar at John Jay College of Criminal Justice, City University of New York. 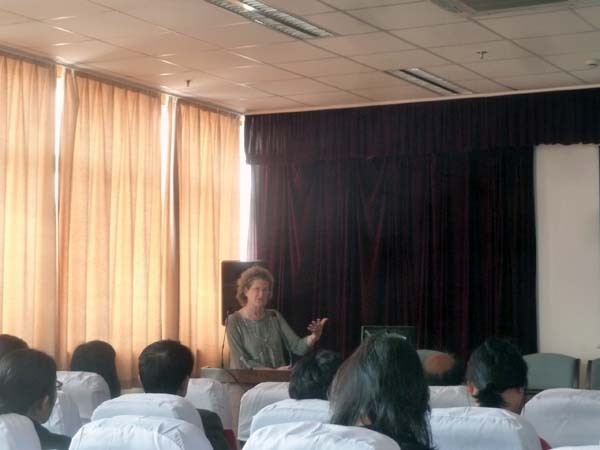 She is a certified Standard Chinese Test Examiner at China Language Test Center (Shanghai). Her research interests focuse on law, literature and legal history. Sun, Y. (2015). Britain and Western Africa ［殖民与后殖民时期英国与英属西非各国之间的关系]. In Cao & Deming (Eds. ), EU and Africa from Historical and Cultural Perspectives（pp. 160-168). Shanghai: Shanghai Foreign Education Press. Sun, Y. (2015). Judicial realism and William Brown’s Clotel. English and American Literary Studies (英美文学论丛), 252-263. Sun, Y. (2015). Afanti and his family series (Translated, 4 books). Shanghai: Shanghai Foreign Education Press. Sun, Y. (2015 ) Afanti and Little Donkey Series (Authored, 3 books). Sudan: Fudan University Press. Sun, Y. (2014). Little Cricket Gery series (Translated, 12 books). China Technology Press. Sun, Y. (2008). Southern American culture series [美国南方文化]. Teach Yourself English［英语自学], Issues 7-12, pp. 19-21; 18-19; 20-21; 17-18; 20-21; 17-19. Categories: Abstract, panel proposals, and workshop proposals may be accepted. Abstract: 150-250 words in English, including positions, affiliations, email addresses and mailing addresses for all authors. Workshop proposals relevant to the conference theme may be submitted. Proposals should be 3-5 pages in length, single spaced. Deadline: Please submit abstracts, panel/workshop proposals, and roundtable discussion sessions by 10th March, 2016. *To foster global intercultural sensitivity and involve educators, business professionals, students and other stakeholders worldwide in the discourse about diversity and transcultural communication issues. Abstract, 150-250 words in English, including positions, affiliations, email addresses and mailing addresses for all authors. Panel proposals reflecting the conference theme may be submitted. All panel proposals should provide a 100-word rationale and a 100-200 word abstract of each panelist’s paper; include affiliation and email addresses for each panelist. Workshop proposals relevant to the conference theme may be submitted. Proposals should be 3-5 pages in length, single spaced.